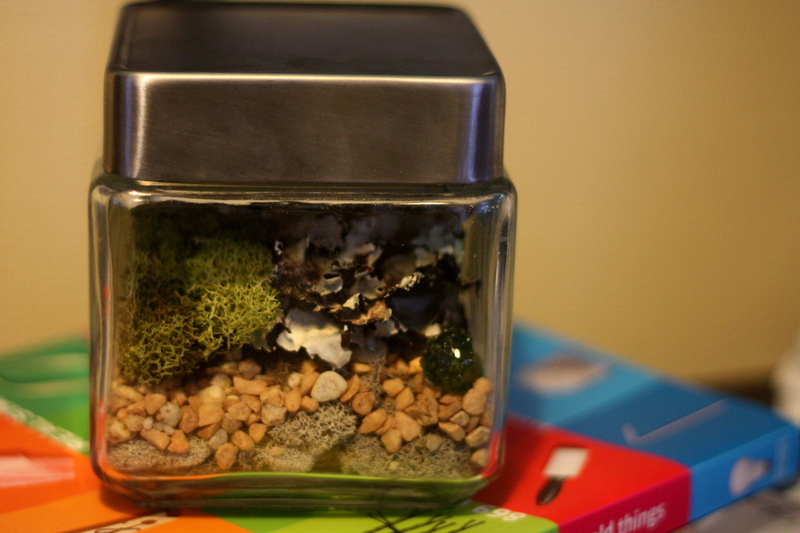 Yes, I’m on a terrarium kick now. They’re such an easy, low maintenance way to bring the outdoors in. And, I guess you could say winter decided to finally show up with the snow we just got and my seasonal depression is kicking in. So I’ll do anything to bring the outdoors in. 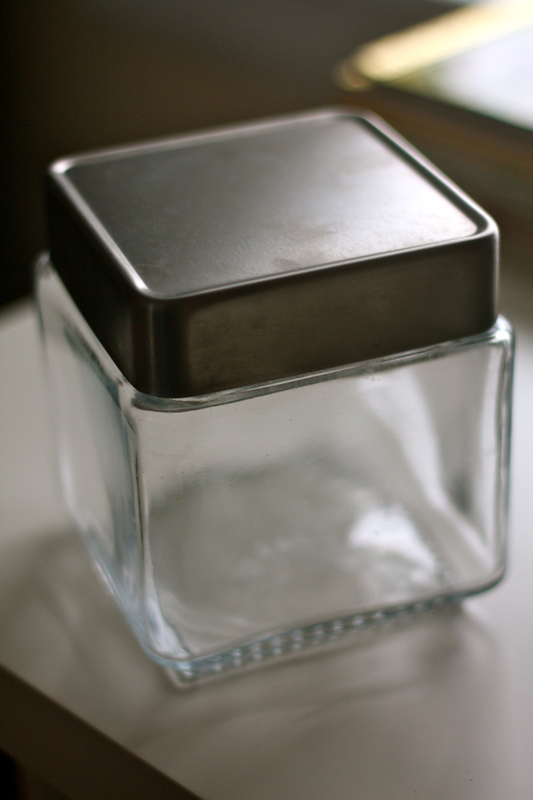 This time I used everything I already had in my house. 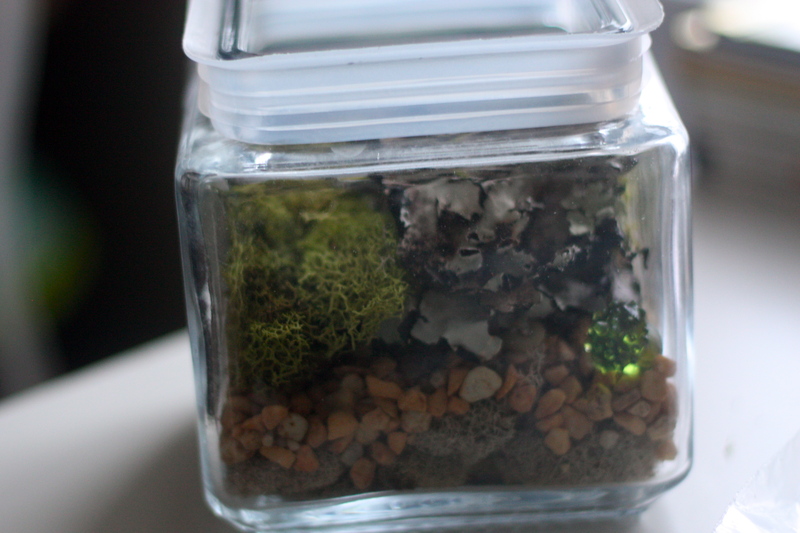 I found a glass jar with a lid and used the rest of the moss and rocks from my first, light bulb, terrarium. 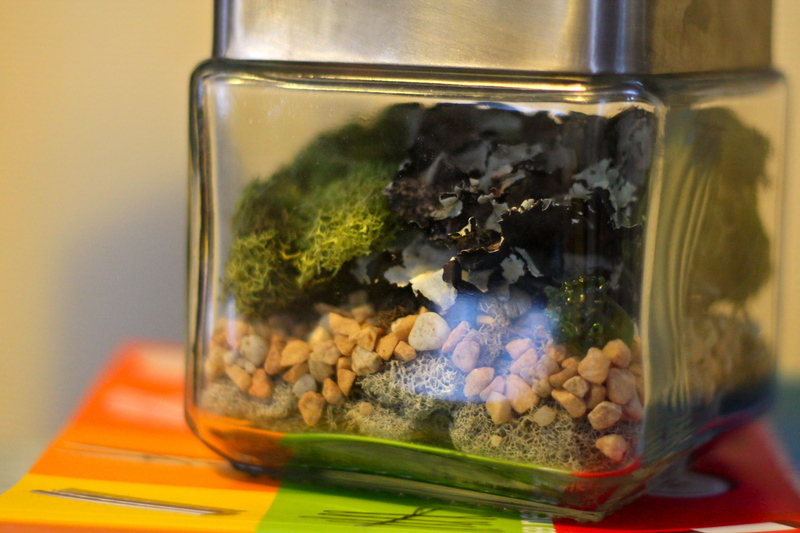 I didn’t have any sand or dirt to place on the bottom so instead I stared with a layer of the tighter, stronger moss. 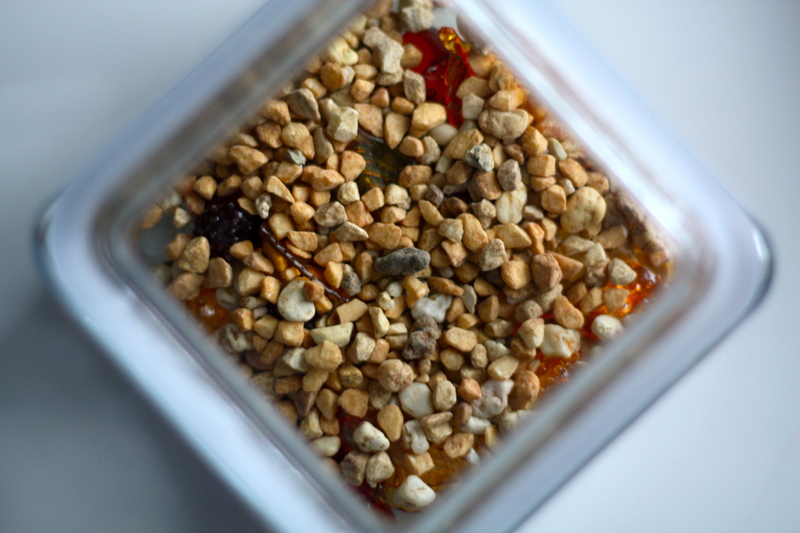 Then I added the small rocks I had. 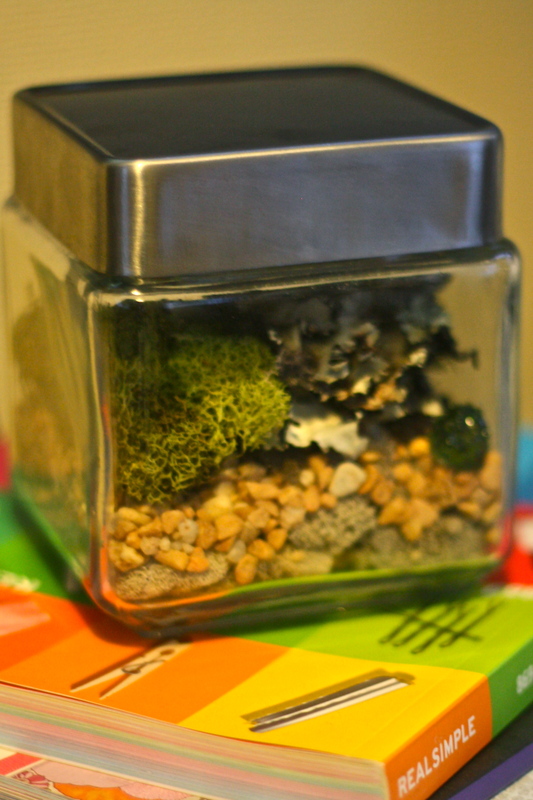 On top I mixed up a few different types of moss and I placed a random glass acorn in the corner. Put the cover back on and placed it on the table under our TV… So I can stare at it while I watch House Hunters, only in warm cities TV. 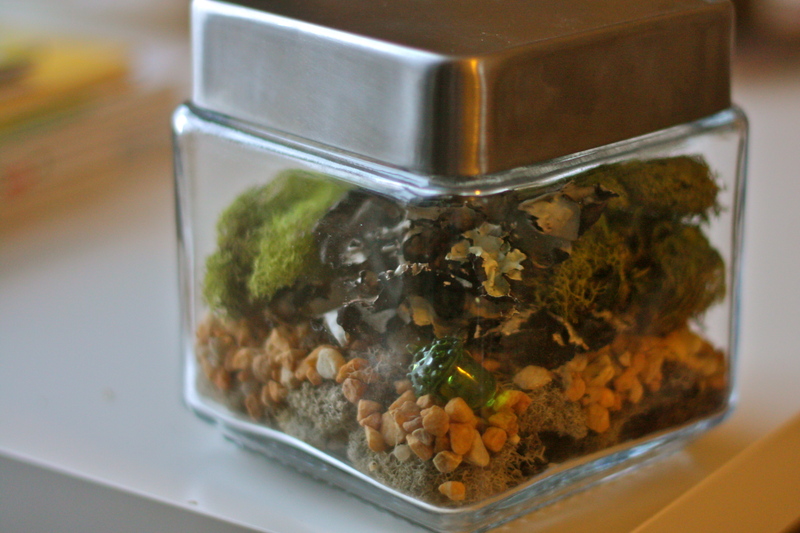 Have you guys explored with making terrariums? I want to explore more with living plants. Maybe that’ll be my next one!